Anita Bakshi’s first book is compelling reading that makes important interventions in several areas. Drawing on memory studies and her training as an architect, Bakshi adopts insightful methodological approaches including collaborative mapmaking, ethnography, and archival research to explore issues around the Buffer Zone separating Greek and Turkish communities in Nicosia, Cyprus. Topographies of Memories is important not only because it provides fresh, thoughtful analysis of intercommunal conflict in Cyprus and beyond, but also because its insights undergird intriguing contributions to the study of heritage and the practice of commemoration. Rather than presenting another narrative of Cypriot history, Bakshi suggests strategies for architects and designers to approach memory through embodied, emotional, and multivalent experience. Throughout her work, Bakshi’s perspective is stimulating and her presentation articulate. 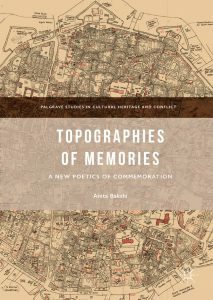 Topographies of Memories is relevant to anyone interested in heritage, conflict, materiality, and commemoration. Bakshi was trained as an architect at the University of Illinois at Chicago and the University of California, Berkeley. She then worked in practice for several years before receiving her PhD in the History and Theory of Architecture from Cambridge University; this book is adapted from her 2013 dissertation. Her work in Cyprus began in 2008 through the Conflict in Cities and the Contested State Research Programme at Cambridge. Bakshi’s methods and arguments reflect her disciplinary background as an architect. The approaches she adopts in her interactions with shopkeepers in Nicosia provide a breath of fresh air in the study of Cyprus. As she notes, her methodological foci on “ethnography, collaborative map-making, and other architectural approaches” (1) redirect her interlocutors’ attention “onto innocuous details of everyday life” (15), thus subverting the “imaginary topography … embellished by official myths about the city” (24). This subversion is particularly important in the context of Cyprus, where discussion of the intercommunal conflict has dominated political life since at least the Turkish invasion of 1974; narratives on this charged topic generally follow one of the hegemonic templates. The Buffer Zone, established by the United Nations following the de facto partition of Cyprus, serves as the case study for Bakshi’s approach to place. Borrowing from Paul Ricoeur, Bakshi sees place as a “reserve of forgetting” that enables alternative forms of commemoration. In Bakshi’s interpretation, “memories held in the ‘reserve of forgetting’ of place can uncover and bring to light the apparently ‘forgotten,’ serving as a powerful resource for memory and for history in contested environments” (27). Bakshi recognizes that forgetting is to some extent inevitable and even “necessary for everyday life” (216). Yet her methodology seeks precisely to excavate the forgotten. One Turkish-Cypriot shopkeeper, in keeping with the hegemonic narrative, did not recount any stories of coexistence in his first few meetings with Bakshi. It was only “once the lock on normal zamanlar [lit. ‘normal times’] was open” (156) that the shopkeeper could retrieve these narratives from what he had “forgotten.” This interaction with the “reserve of forgetting” is the crux of Bakshi’s project. Topographies of Memories is divided into three parts. The first section, entitled “Groundwork: Revealing Place and Memory,” provides an introduction to the whole book and explores the field of memory studies. Bakshi briefly discusses other examples of cities in conflict, including Berlin, Belfast, and Jerusalem, to contextualize her study of Nicosia. The second section, “Focus: Excavating Nicosia’s Buffer Zone,” dives into the specifics of the Cyprus conflict, both integrating and informing the theoretical perspectives previously discussed. Interviews with shopkeepers are combined with original archival work to create a fascinating narrative of the Buffer Zone in Nicosia, which had previously been a bustling intercommunal marketplace. Bakshi also discusses migrant workers who have moved into the Old City of Nicosia in the past thirty years, who are too often disregarded in Cypriot narratives. Bakshi concludes with an exposition of the Venetian Walls as a potent, multivalent symbol: put simply, “the walls act as a screen onto which certain national, historical constructs can be projected” (197). The third section is named “Poiesis: Designing for Emotional Bodies”; its two chapters are entitled “Modes of Engagement” and “Materializing Metaphor.” Here, Bakshi offers suggestions for future work in heritage studies and cultural management in an attempt to create “a new poetics of commemoration.” Drawing on a variety of examples from across the world, Bakshi highlights certain characteristics of successful memorial sites. Firstly, such projects must “allow for different threads to be pulled together” (294), as with Bakshi’s collaborative maps of Nicosia. These projects must also avoid abstraction to instead emphasize “an embodied and emotional experience that allows for emergence and transformation” (295). Bakshi argues that alternatives must look to the “reserve of forgetting” to reveal “memories that lie behind the image of history” (296). The clarity of Bakshi’s structure throughout her book matches her lucid argumentation and compelling, articulate prose. Given Bakshi’s thorough exposition of her case study and theoretical approaches, it is frustrating that the author does not address questions about reflexivity and language. For instance, Bakshi reveals little about her personal journey. How did she come to be involved in Cyprus? What is her own identity and in what ways did this affect her fieldwork? Many anthropologists and post-processual archaeologists have noted the inherent subjectivity of narrative and interpretation, and the concomitant importance of discussing one’s own subject position. In addition to heeding this caution in the implementation of her chosen research methods, Bakshi might have devoted a portion of the introduction or of the second section (“Groundwork”) to autoethnography and reflexivity. Because of this weakness, it is difficult to glean answers even to questions fundamental to her research methods. For example, does Bakshi speak both Greek and Turkish? What languages were her interviews with shopkeepers conducted in? Bakshi’s omission of language is particularly unfortunate in light of how important linguistic variation is in Cyprus. As sociolinguists have demonstrated, languages (and variations like Kypriaka, the Cypriot dialect of Greek) are vital to the shaping of memory, narrative, and identity in Cyprus. Neglecting to discuss the role of language in her methods is regrettable, as is the unconcern for the author’s own involvement in the narrative she creates. While Bakshi’s survey of the theoretical literature on memory and divided cities is impressively rigorous, similar attention to her chosen methodologies would strengthen her case. These lacunae, though significant, do not substantially detract from the force of Bakshi’s argument. 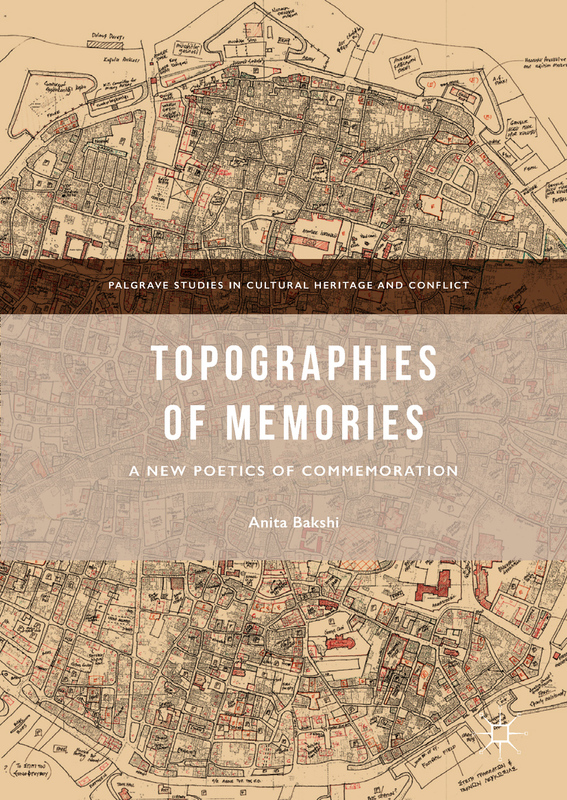 Topographies of Memories is a landmark work in the study of Nicosia, an invaluable contribution to Cypriot historiography, and an important intervention for anyone interested in materiality, memory, and heritage.